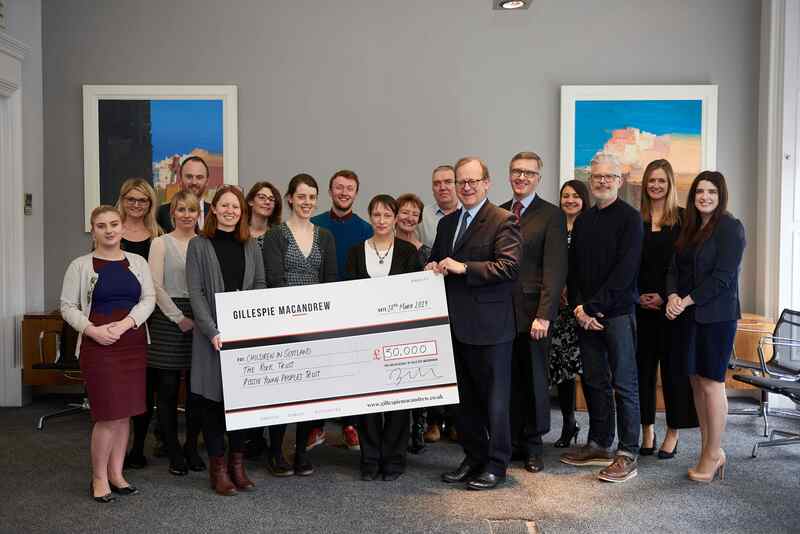 Three Scottish charities supporting vulnerable young people across the country are to share a donation of £30,000 from law firm Gillespie Macandrew. Over the past four years, teams from the firm’s four offices have spent more than 200 ‘person-days’ working with Rossie Young People’s Trust; have established a members’ hotline for Children in Scotland; and have helped to paint accommodation for homelessness charity, Rock Trust, amongst other activities. CEO of Gillespie Macandrew, Robert Graham-Campbell, said: “It has always been a pleasure to support these organisations, whether we engage through volunteer days, partnering to host training events, or providing pro-bono legal advice.